Continuous Development and Support of the Platform is our goal and this is only possible with a viable business model. 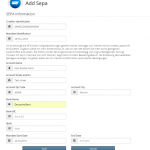 With today’s release we are changing the limits for the free usage of box-planner. Gym’s and Boxes who want to use the Basic Version will have to subscribe to the Basic Service within the Box Settings. Prices start as low as 10€ per month and are depending on the amount of members. 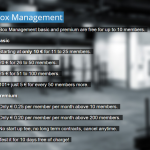 The Premium Subscription which is possible in addition to the Basic Version is now reduced for Boxes over 200 members to just 0,20€ per member. To see exactly your payment just navigate to your Box Settings. The following image describes the Price calculation. 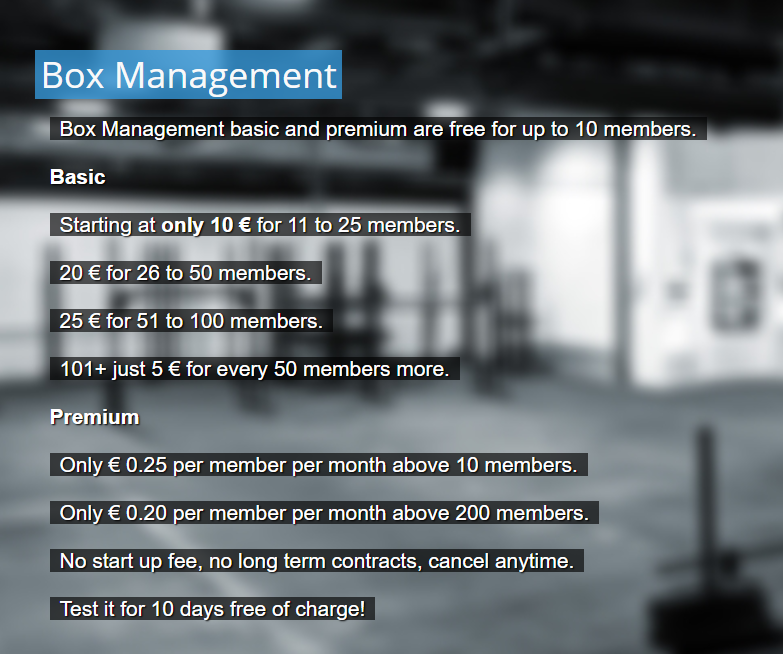 Gym’s and Boxes which have more than 10 members that don’t subscribe to any of our plans will be disabled shortly. With your commitment we’ll be able to continue improving your favorite management and WOD tracking platform.